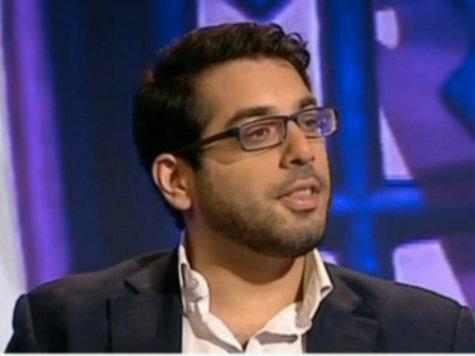 Westminster, United Kingdom – Breitbart London’s Managing Editor, Raheem Kassam, is set to leave the organisation following the successful launch in February of this year. Kassam will join the insurgent UK Independence Party as of today as the Senior Advisor to the party leader Mr Nigel Farage. Following on from UKIP’s win in the European Elections in May this year, the party is set to fight the most important general election in its history, having just recently achieved its first elected Member of the House of Commons in Douglas Carswell MP. As a result, the party is moving onto an election footing, with Kassam set to lead on advising Mr Farage in developing party messaging, strategy, fundraising and publicity. The role is the first of its kind as UKIP grows and professionalises, and Breitbart London understands from senior UKIP sources that Kassam was picked specifically for his political nous and campaigning prowess. James Delingpole, Executive Editor of Breitbart London will be taking a more active role in the running of the organisation, alongside the company’s executive chairman while a replacement for Mr Kassam is found. Delingpole said: “It’s obvious that Breitbart London has made some waves in recent months, breaking great stories and helping to shift the debate away from the mainstream, left-wing narrative that has pervaded in British media. Raheem has had a huge role to play in that, and I’m sure he’ll do a great job at UKIP… even if he’s now created more work for me”. Alex Marlow, Editor in Chief of Breitbart.com said: “The Breitbart News Network has been at the forefront of reporting on the global, small-c conservative revolution, promoting the ideals of low taxes and small government. As a key advocate of these ideas it makes perfect sense for Raheem to advise UKIP on the run up to the general election in the UK. We wish him the best of luck”. Larry Solov, CEO of the Breitbart News Network said: “It’s a sign that we’re going from strength to strength as a company when such an august position is offered to one of our top guys. I wish Raheem all the best in his new role, and look forward to finding a replacement for him to help Breitbart London continue growing and breaking big news in the United Kingdom and Europe”. Kassam is set to start today, Thursday October 23rd, and will report directly to Mr Farage.